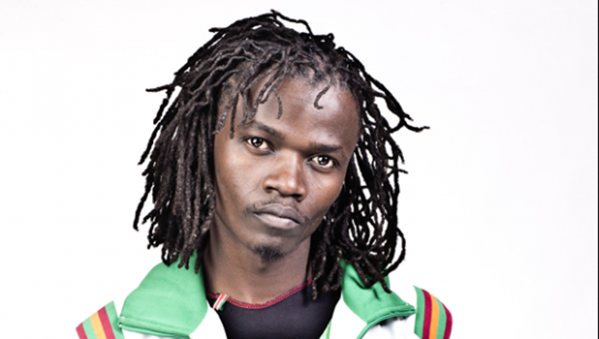 As many of you complain of the harsh economic times this January, Popularly known Kenyan rapper, Juliani is enjoying his celebrity status. 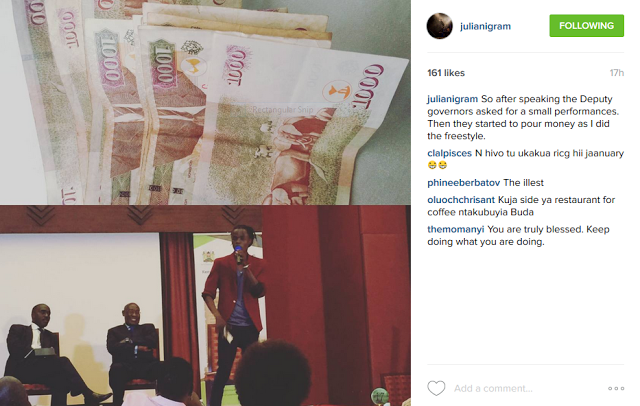 The rapper was called upon to entertain some guests at the Governors Auxilliary Conference held at the Enashipai Resort in Naivasha. The award winning rapper gave a thrilling performance and to his surprise the guests in attendance started showering him with a thousand shilling notes. Well due to his excitement the rapper could not hide his joy and took to social media to share his joy with his fans. Here is the post he uploaded.